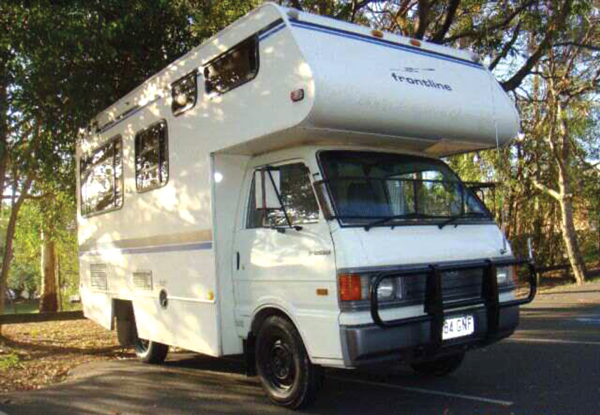 Michael’s philosophy is “live your life on your terms” – and he certainly does that – traveling around Australia in his campervan making great money from real estate. Here’s how this phase of Michael’s life journey started. After 28 years of investing in property, Michael went to one of Dymphna Boholt’s events, expecting to see a ‘con woman’ on stage. Yet, after just 15 minutes he was ‘sold’ on her property expertise and her heart-felt values – and knew he had to learn from her. He didn’t take action right away – as he says: ‘I sat on my comfy couch for 3 years before deciding to dive in’ and take action on Dymphna’s ideas. Since that time, Michael has focused on buying cheap properties with motivated vendors. Renovating them and then renting them out. This strategy gives him equity due to the valuation uplift from the renovation and also great cash flow, as he gets an increase in rental income from the improved property. This cash flow is important because it helps him to be able to continue to get bank financing for more properties. But there has been another side benefit for Michael – being part of a supportive community. 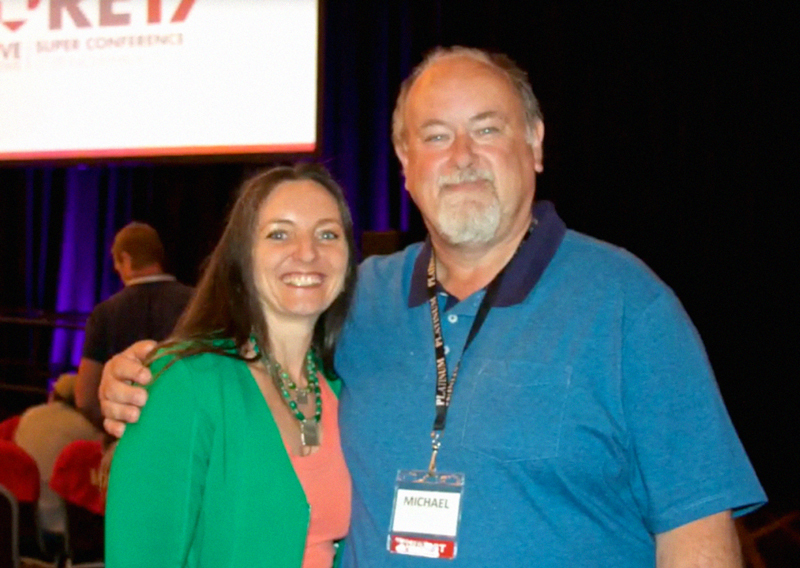 “Living in a regional area, I find that property investing can be quite a lonely journey and being able to be in contact with others has been invaluable,” said Michael. Prior to meeting Dymphna, Michael knew the basics and had had some property investing success by himself. “I knew not to get emotional and look at the numbers and then be creative to find a way to make the deal work. But I did have a fear of making mistakes and probably listened too much to friends and family who aren’t educated in property,” said Michael. He had investments, but he also had debt and had sold properties over the preceding ten years when money got tight. To make things more challenging, he had occasionally got behind in repayments to the extent he had some black marks on his credit report making it very difficult to refinance. However, the support of the ILRE education has been invaluable in helping him to still play the ‘investor game’ even with this challenge. “I have been living and travelling in a motor home. It’s great and gives me the time to travel around this beautiful country between property projects,” explained Michael. Here’s an example of one of his property ‘Reno and Rent-out’ deals that he’s done since joining the I Love Real Estate community. This was a flood damaged house, but luckily the major flood damage was already repaired. Michael did a cosmetic reno, and gave the place a new kitchen and ensuite. This was a great little deal – with a super low cost base. Proving once and for all, that small fish can be sweet! So, following that advice Michael has done other ‘Reno and Rent’ deals – but he’s also done some cracker positive cash flow deals. For example, here’s a property Michael bought at a mortgagee sale, when it was passed in at auction. Michael used a combination of ‘bluff’ and ‘delaying tactics’ to beat the other offers. This deal now gives him a tidy positive cash flow of approximately $10,000 per year – or around $200 per week. Not bad for a $154,000 investment! The best part? Michael can also explore the possibility of Strata Titling the units to increase value, for refinancing purposes. One of Michael’s big learnings, is ‘not to get emotional about a property, work out all the figures and remember it’s a business,” said Michael. So what’s the bottom line of all Michael’s projects? He’s gone from owning properties valued at about $735,000 with an equity value of $450,000 to a portfolio valued at about $1 million – with an equity position of around $801,000! This is a significant leap in net equity – which leaves Michael feeling financially confident about the future. Especially since he’s adding to his wealth position consistently with more deals – he’s in control. So, if you’re around Australia and you see the ‘Homeless Property Investor’ on the road make sure you say g’day!